While many businesses today understand the importance of customer experience, demonstrating the value of individual Customer Experience (CX) initiatives is still a common challenge, particularly for operational executives or managers tasked with turning strategy into action (and measurable action at that). Taking the strategic decisions made in the board room and turning them into practical actions, while attempting to demonstrate clear and measurable ROI, is one of the most challenging aspects of retail operations management. 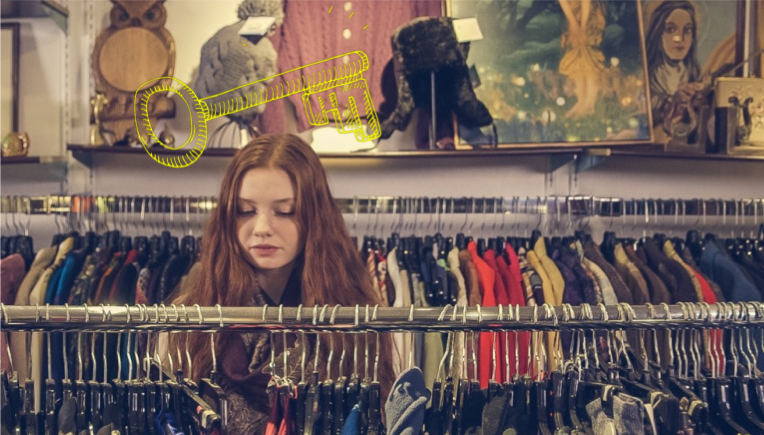 Strategic goals tend not to map neatly to the complexities of the retail environment and identifying which aspect of the in-store experience is actually impacting customer spend can be an incredibly complicated task. TruRating recently worked with a national discount retailer who wanted to understand the value of a strategic investment in a proposed staff training program. While the executive team was keen to test their theory, Store Operations were tasked with developing a program to test the actual results. Here’s how we helped them do it. As part of their 2018 CX program, the discount retailer wanted to test the introduction of specific service-focused staff across their stores. The purpose? To test whether the staff, known as Service Champions, would enhance CX in stores during the busiest hours and establish a business case for investing in additional training and resources across their entire store network. As a retailer with a large and varied store footprint – from busy urban locations to remote mural stores – part of the challenge was establishing a fair measurement standard for each of their locations. Working with the retailer, we established a selection of pilot stores from both rural and urban locations to ensure a representative cross-section of their overall store network. With custom questions in place, we then established a baseline for performance by measuring TruRating scores and ATV across both the test group and control group of stores before and after Service Champion recruitment. Service Champions were scheduled during the busiest shifts of the week – Thursday afternoon to Sunday mornings – to ensure that their impact on service would be truly tested. In our post-trial analysis, we found that 75% of stores in the test group where Service Champions had been in place saw an increase in Average Transaction Values compared to previous periods without them. The biggest impact on spend occurred on the busy Friday afternoon shift when a 6% increase to average transaction value was measured. While the impact on spend for Friday and Saturday mornings was relatively low, these periods saw a much lower volume of transactions, helping the retailer to qualify that their greatest ROI would be during their busiest shopping periods. As well as validating the impact of Service Champions on CX and average transaction value by the time of day, TruRating was able to identify differences in response by store type e.g. small-town stand-alone outlet vs urban shopping centre environment, providing a rich area for further segmentation analysis in the future. By capturing thousands of responses from customers over the course of the trial period, accommodating for contextual analysis based on store size and location, this discount retailer was able to conduct a truly controlled experiment unaffected by external influences. In a short time, TruRating was able to quantify the impact of the Service Champion initiative, across multiple CX drivers, identifying clear ROI for both customer sentiment and spend. We’d love to hear from you too! Get in touch with one of the team to find out how we can better help you implement your 2019 CX Initiatives at hello@trurating.com or head straight to our business page to find out more today. Why not see check out how New Balance used TruRating to reinvent its store layouts here. For a more general introduction to the concept of Customer Experience, you can find the first in a series of posts on the subject here. You might also like our CX Icon series, a selection of interviews with some of the leading thinkers in the field today, check out our most recent entry with Nate Brown here.